This necklace from Roberto Coin's Roman Barocco collection has elegant metalwork and lively diamonds. 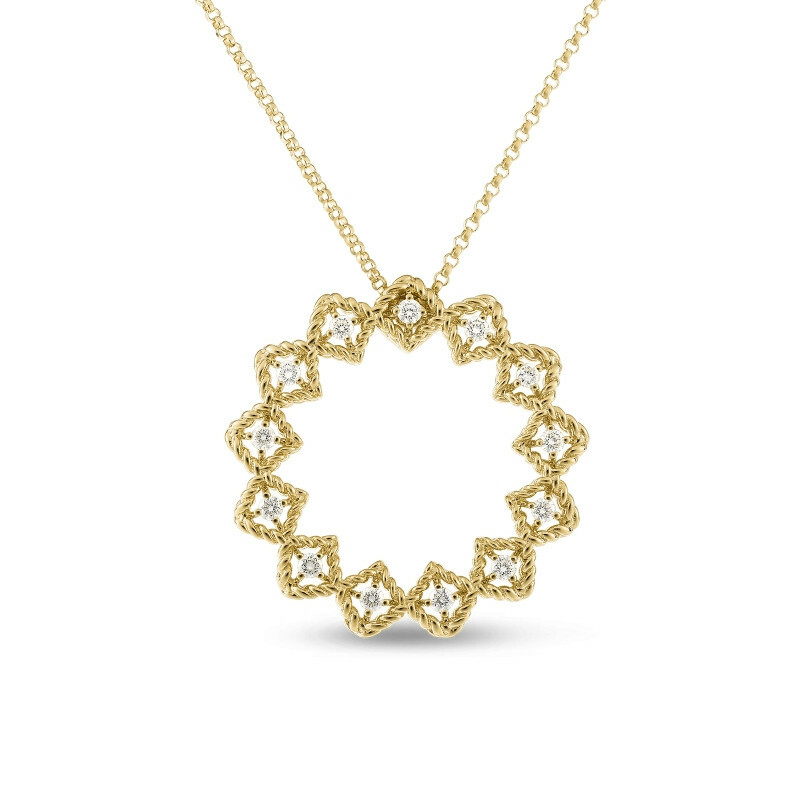 Crafted in 18K yellow gold, the pendant of diamond-shaped cages of twisted precious metal each filled with a white diamond floats on a chain necklace. This Roberto Coin pendant necklace dazzles with delightful details.